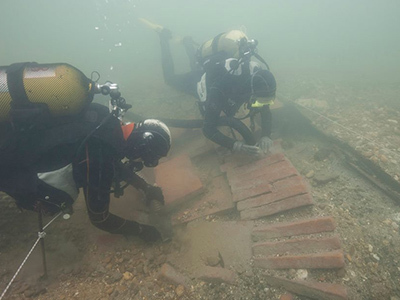 Archaeologists from the Department of Underwater Archaeology of Croatian Restoration Institute and their French colleagues from the Camille Jullian research center from French universities of Aix-Marseille stayed in the Vincentinum center. 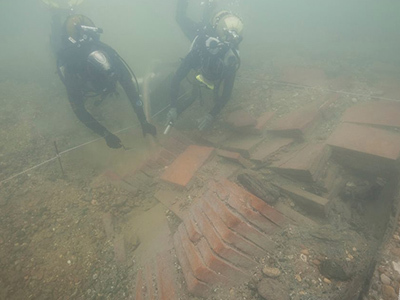 A dozen of archaeologists from Croatia, France, Slovenia, Italy and Spain took part in the international study of the sunken Roman river ship from the 1st century in a shipwreck on the river Kupa near Kamensko in Karlovac County. 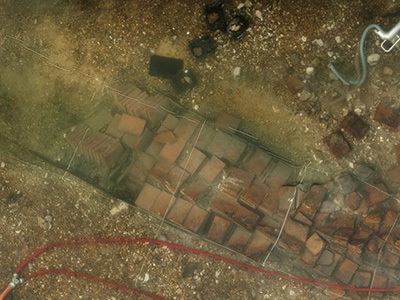 The archaeologists presented this valuable finding to the public and you can read more about it on the following portals: Trend portal, Net.hr, Dnevnik.hr, Jutarnji list, 24 sata. The apostolate of the Golden Rose from the Polish city of Krakow organized a pilgrimage for priests and nuns to the 20th International retreat for priests in Medjugorje. On their way back to Poland they stopped to rest in Vincentinum. Happy and enthusiastic about everything they have seen and experienced in our complex, they promised that we will see them again soon. We are grateful to the members of the Apostolate for the special spiritual atmosphere that could be felt through their company, prayer and song during the stay at the complex. The main mission of the Apostolate is to pray for all the priests in the world, and they are particularly connected with Our Lady of Rwanda by a member of the Apostolate that has been there for 35 years working in the missions. It is also interesting that the apparitions of Our Lady of Rwanda (in Kihebu) began in 1981, the same year that they began in Medjugorje. In 2001, the Vatican officially acknowledged the Marian shrine in Kihebu and since then it was named the Shrine of Our Lady of Sorrows. 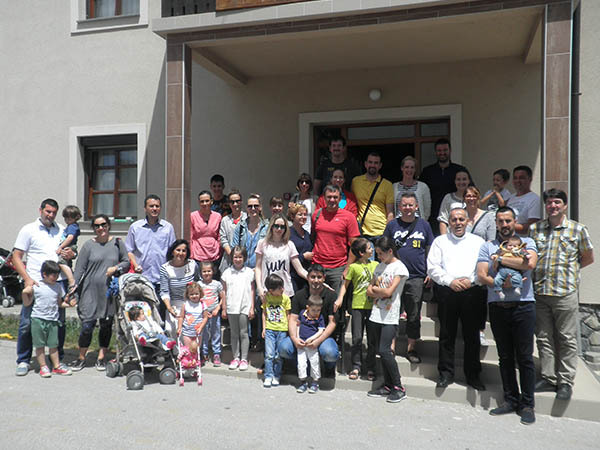 Young families from Sibenik participated in spiritual retreat in the Vincentinum center, led by Father mr. sc. 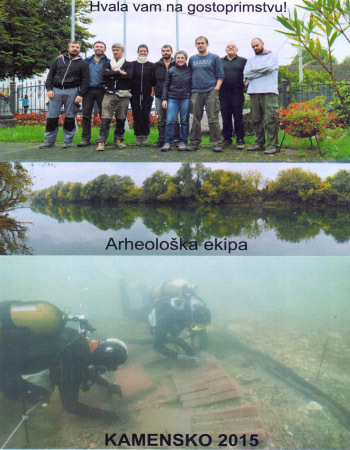 Arkadiusz Krasicki, a missionary of the Congregation of the Holy Spirit, the first and the current student chaplain at the J.J. Strossmayer University of Osijek. They participated in the celebration of the holy mass in the parish, as a part of the retreat - father Arkadiusz by inspiring words of homily that was addressed to the parish community, and young families by playing guitars and joyfully singing. On the following link https://www.youtube.com/watch?v=7zvc2sieW_Y you can listen to the song Mother of God of Novigrad dedicated to Our Lady of Novigrad and performed by Davor Terzic. 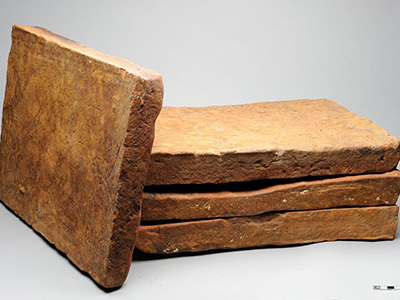 The lyrics and notes of this song were published in the parish monography. 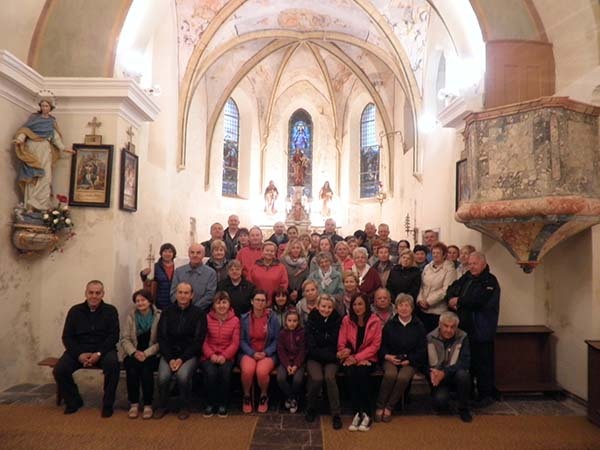 Polish pilgrims of the diocese of Bialostocka stayed at Vincentinum, under the spiritual guidance of the priest Artur, a member of the Salesian religious congregation - Don Bosco. 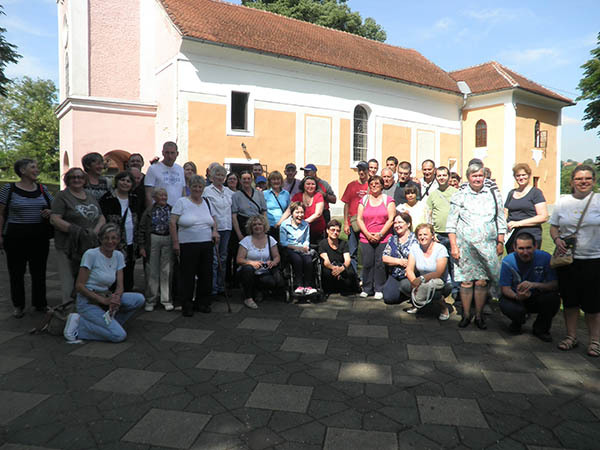 They celebrated the Holy Mass at the parish church and after staying the overnight and refreshments, they happily continued their pilgrimage to Our Lady of Medjugorje. 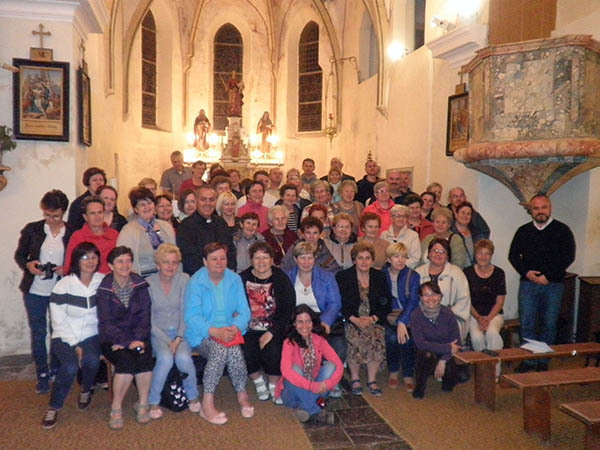 Polish diocese of Siedlce organized a traditional pilgrimage to Medjugorje for its believers. On their way back home, they took a break at the Vincentinum and celebrated Holy Mass in our parish church. 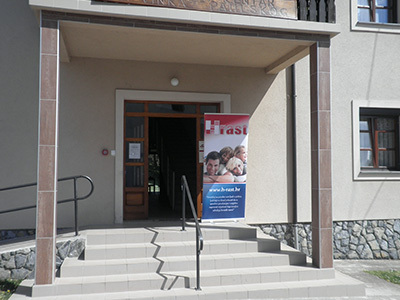 This Saturday, on April 25th 2015, there was a full-day meeting of representatives of the county organization HRAST from across the country at Novigrad na Dobri in the Vincentinum complex. This meeting's particular importance is to educate debate leaders and the education on the development of communication skills, which were held in cooperation with ECPM (European Christian Political Movement). 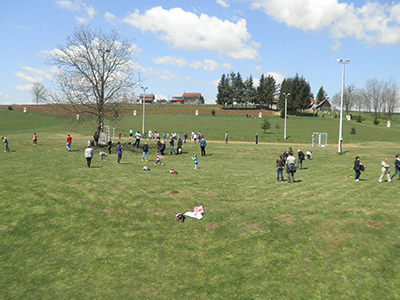 Families with children from Zagreb have chosen Novigrad na Dobri for an excursionand and organized the trip to the VINCENTINUM complex with bus and cars. 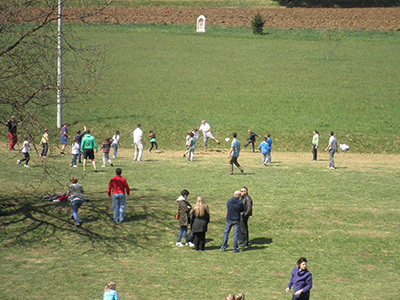 Upon arrival they first celebrated Holy Mass in the chapel of St. Vincent de Paul, dined at the restaurant Stari Farof, toured the church, and then enjoyed the games, socializing and conversations in the natural environment of our complex. Neither children nor parents have not concealed joy and enthusiasm stressing that we should be grateful to God for all the beauties and gifts of nature in our small place. They expressed special thanks to our staff for the warm welcome, service and hospitality, with the promise that soon they will be our guests again. Grateful to the families for their trust we look forward to their re-arrival. It is impossible to verbally describe all God given beauties in this earthly paradise, therefore we invite all people of good will to come to the complex VINCENTINUM and to experience it. You are welcome! First guests from Poland stayed in our pastoral center and pilgrimage home. 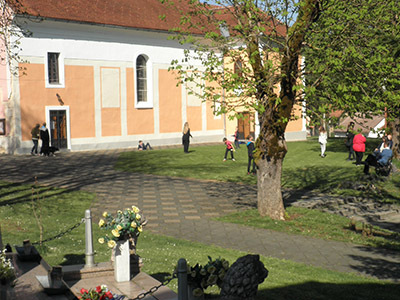 Pilgrims returning from Medjugorje also visited Our Lady of Novigrad. 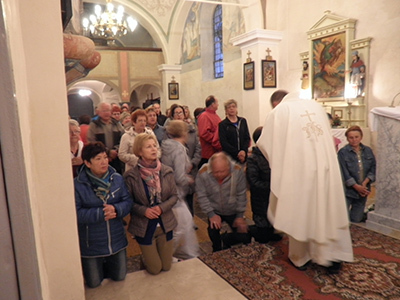 Early in the morning, after dinner and rest in the VINCENTINUM complex, pilgrims celebrated Holy Mass together with their priests Adam Blaszczyk and Krystian Balaz. 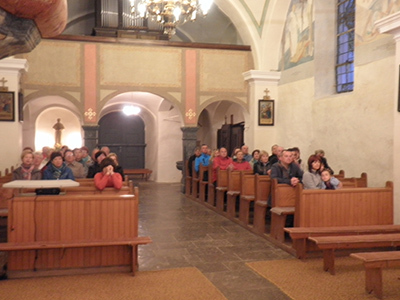 According to our knowledge this is the first time that Holy Mass was celebrated in Polish in our parish church. After the breakfast pilgrims headed back to their homeland, filled with happiness, thankfulness and full of nice impressions of the artistic value of the church, the beauty of the place, quiet and relaxed atmosphere and comfortable and pleasant stay in our complex. In a special way one could have felt the atmosphere of the Christian, Catholic and Marian spirit. 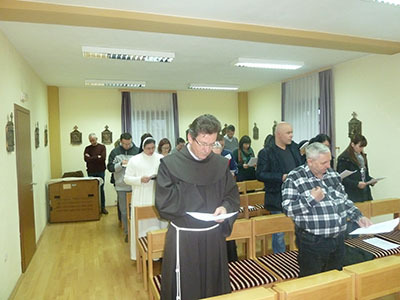 The annual spiritual retreat for the teachers, catechist and educators in the faith of diocese of Sibenik were held in Vincentinum under the guidance of prof. Ph. D.. Fr. Ante Vuckovic, vice dean for science at the Catholic University of Split and member of the Council of Croatian Bishops' Conference for the Clergy. After the spiritual retreat, satisfied, enriched and grateful for the received gifts, catechists have returned to Sibenik to set off in new relationships and encounters. 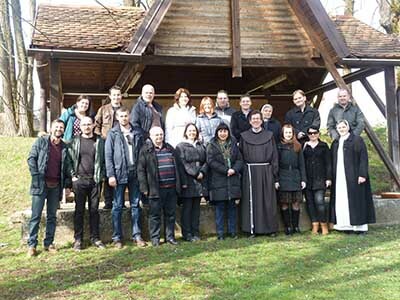 On February 27th 2015., a one-day spiritual retreat was held at the pastoral center and pilgrimage home Vincentinum for professors and employees of Catholic University of Croatia from Zagreb, lead by the rector, prof. Ph.D. ŽeljkoTanjić and the head of the Catholic Faculty of Theology, University of Zagreb, prof. Ph.D. Ante Crnčević. 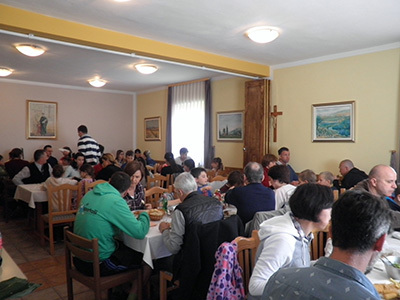 The spiritual retreat included lectures, celebration of the holy mass in the chapel of st. Vincent de Paul, sightseeing of the parish church of the Assumption of the Blessed Virgin Mary, praying the stations of the cross and a common lunch of the participants in the restaurant Stari Farof. 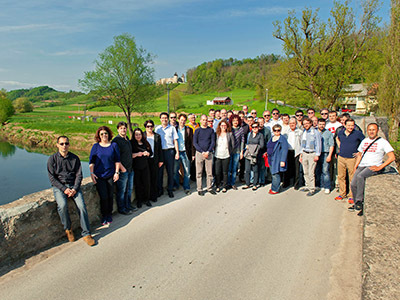 Filled with beautiful impressions of places, cultural monuments and landscapes, they headed back home to Zagreb in the afternoon hours.